The 93 Hotel is a 5-minute walk to Platinum Shopping Mall and Ratchaprarop Airport Rail Link Station. 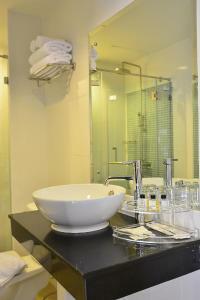 Offering modern air-conditioned rooms, the hotel features massage treatments and meeting facilities. Free Wi-Fi is available throughout the property. 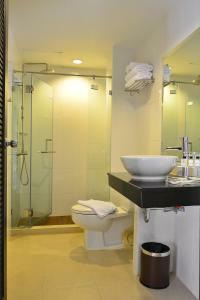 The hotel is a 10-minute walk to Central World Shopping Centre. 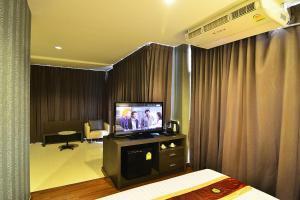 It is a 20-minute walk from Siam Paragon Shopping Mall and Siam BTS Skytrain Station. 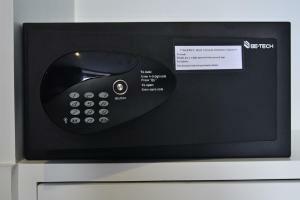 Rooms at The 93 Hotel are equipped with a flat-screen cable TV, a minibar and a safety deposit box. It also comes with a seating area and an electric kettle. Free toiletries and a hairdryer are included in a private bathroom. Laundry service can be arranged at the 24-hour front desk. Free public parking is possible on site. International dishes and refreshing beverages are served at the restaurant all day. Room service is available upon request. 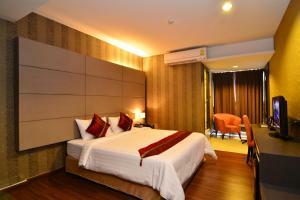 Air-conditioned room is equipped with a flat-screen cable TV, a minibar and a safety deposit box. It also comes with a seating area and an electric kettle. Free toiletries and a hairdryer are included in a private bathroom. 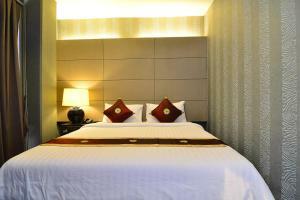 Larger air-conditioned room is equipped with a flat-screen cable TV, a minibar and a safety deposit box. It also comes with a seating area and an electric kettle. Free toiletries and a hairdryer are included in a private bathroom. Rate: THB 1750.00 ... THB 5000.00; select dates below to get current rates.